Okay, so after writing and rewriting and more rewriting and then of course editing the heck out of this review, I have come to accept that nothing I will say will be good enough. I am no poet here and I lack the skills to do this book justice. For that, I am sorry. Since The Giver is coming to a theater near you in August and it’s been on the big o’ pile of books to read for months, I thought I would give this a try. I don’t want to give anything away but it totally messed with my mind more than anything that I have read in a long time. Jonas’ world is perfect. Everything is under control because he is living in a time of Sameness. At the age of twelve, all children are selected for their career and turn into adults. Jonas is singled out to become the next Receiver of Memory. Only Jonas will have the memory of the time before. Everyone in the community will be free from “anguish because he had been selected, as others before him had, to bear their burden.” He will learn why such meaningless words as love and war have become obsolete. But once he begins to see that nothing is as black and white as the community has lead him to believe, will he be brave enough to deal with this burden? We discover the truth as Jonas discovers it, through the eyes of an innocent child, which Lowry does in such a way that is eerie. At the same time Lowry does a wonderful job of not revealing too much. I love how Lowry challenges readers. 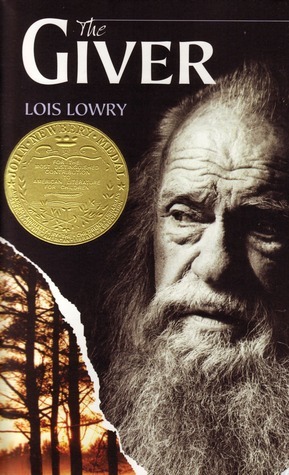 I can see how and why so many current post apocalyptic novels use The Giver as their foundation. I blew through this in a couple of hours because I just could not put it down. The language is simple yet it is richly provocative. The Giver left me with so many unanswered questions and so many things to ponder but this is only book 1, I can’t wait to start book 2. And yeah, I’m pretty much dropping everything to read book 2. Go read book 1, you won’t regret it. 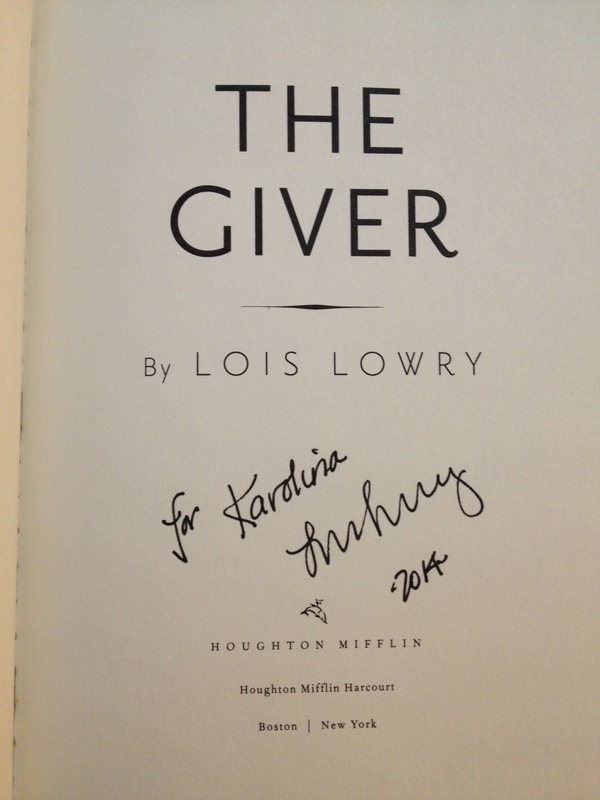 Got to meet Lois Lowry at the BEA. Yay! And she signed my book. This entry was posted in Adult Fiction, Fantasy, Post Apocalyptic, Young Adult and tagged Lois Lowry, post-apocalyptic, The Giver. Bookmark the permalink.